Cut through the hype, make waves and get noticed. Seems simple enough? Well it is, but it involves an element of risk. My colleagues and I were fortunate enough to attend Ryan Holiday’s Vivid masterclass on Marketing, Media and Manipulation. From faking controversies to creating viral news stories, the self-proclaimed media manipulator will explore everything from growth hacking and blog culture, to unconventional marketing. Director of marketing for American Apparel and also author of the bestselling novel Trust Me I’m Lying: Confessions of a Media Manipulator, Holiday has mastered the art of brand positioning and knows how to stimulate hype. So what did I learn from Ryan? Many things but first things first, what exactly is media manipulation? Media manipulation exploits the difference between perception and reality. A growing tactic used amongst professionals. Where there is smoke there is fire. A random public blog can be used as a reliable source with the right amount of buzz generated. When you don’t have the resources to create reliable piece of information that is fact checked and edited, you can simply create online buzz and next thing you know that blog source is being re-shared and re-quoted. – The reason this happens is due to lack of incentives, which is a two-way street. People do not pay for news, the creators of that news to not have any loyalty to their followers. This allows Joe Blow to make all sorts of assumptions and opinions and produce them as news. Is it right? That’s for you to decide; but whether or not it is or isn’t, it’s happening. If you want to have a voice out there and to grab attention, you need to create volume and hype in whatever way you can. Examples of how this can be achieved are vast and yet so simple. Ludicrous headlines that are too tempting not to click; outrageous images to spark your curiosity, even if the content is simply about the best way the fertiliser your garden; to generating completing inaccurate information and made-up sources. I am sure as you read this, you’ll realise you are guilty of a few but just how many of these ‘tactics’ have you adopted? 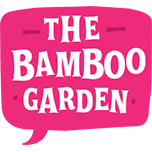 Phoebe Brown is an account manager at The Bamboo Garden. She is a graduate from the University of Wollongong with a double major in Marketing and Accounting. A secret social media nerd with a passion for writing makes the digital marketing and PR industry a perfect fit. Phoebe’s love affair for innovative thinking allows her to soar beyond the traditional.